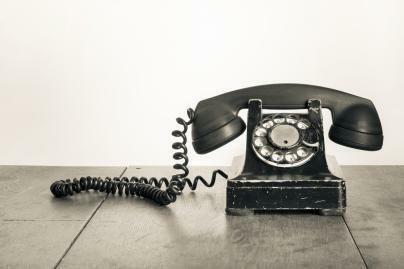 What is a traditional telephone service? A traditional telephone service, or POTS (Plain Old Telephone System), refers to a landline phone service that uses copper wiring to make and receive calls. It is usually offered by household-name companies such as Verizon, AT&T, MCI, or any other local landline operator in your specific area. These companies rely on the PSTN (Public Switched Telephone Network) to transmit calls. The PSTN is a complex system of hardwired landlines that act as the backbone of traditional telephone service. For some people, a traditional company is still the best choice for telephone service. However, traditional companies no longer provide the best rates or features for telephone service, so you should definitely look into some other telephone service options like VoIP (Voice over Internet Protocol) and wireless phone service before you make a final decision on your landline service provider. Check out our chart below for some VoIP providers that offer competitive plans and pricing compared to traditional telephone service providers. 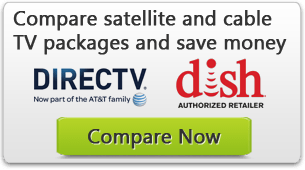 If you want to compare traditional phone service providers, including long distance, click here. Many recent studies have documented the fact that, while traditional telephone service is still the main source of phone service nationwide, many people choose alternative phone services instead. Many business and homeowners have begun to realize that they can save a lot of money by switching to VoIP, and many young people are deciding to skip out on landline service entirely in favor of using only a wireless service. So why are so many people switching away from traditional telephone service providers? The most obvious reason is cost. Landline service with a traditional telephone service can be very expensive, especially when compared to landline VoIP service. For example, an Unlimited Long Distance residential plan with MCI with unlimited nationwide calling costs $59.99/month. On the other hand, a residential VoIP Phone Service plan with a company like ITP costs $8.32/month for unlimited nationwide calling. Traditional telephone service is more expensive than VoIP because of the differences in POTS and VoIP technologies. The major difference is that POTS handles calls as analog data, while VoIP handles calls as digital data. Analog data is made up of electronic frequencies, while digital data is made up of binary code. Analog data is cheap and easy to send over a short distance. However, it is hard to send analog data over a long distance without losing a lot of sound quality. This is where the PSTN comes in. As we said before, traditional telephone companies rely on the PSTN. The PSTN is composed of many devices like towers, satellites, cables, telephone lines, and switchboards. Altogether, these devices form a nationwide grid. When a call is sent over the PSTN, it travels between locations on the grid until it reaches its final destination. It can cost a lot to transfer a call so many times between so many locations. This is why so many phone companies charge extra for long distance and international calling. And even though many parts of the PSTN have been converted to digital telephony, the system still relies on the same infrastructure (and the last mile of service is almost always analog). In addition, local calling can be expensive with the PSTN because the call may still have to travel a long way. For example, imagine that you want to call your local library which is just a few blocks from your house. You might think that this call would be quick and easy but really your call will need to be transferred through the most convenient location on the PSTN first. That location on the PSTN could be miles away. This means that to call a location that’s just a few blocks away, your call will first need to travel miles away and then miles back before it can reach the library. The PSTN is also an old system, and it requires regular maintenance and repair. A customer’s monthly bill reflects the cost of upkeep for this large aging system. How do VoIP and Wireless Service fix this? Because VoIP service is digital, it can easily be sent over the Internet. So, if you have a VoIP service and you need to make a call to someone else who has VoIP service, your call travels entirely over the Internet. Your VoIP provider can quickly determine the fastest route for your call and send it without any unnecessary stops along the way. Unlike analog calls, digital calls don’t lose any quality when they are sent over a long distance. So you can send them an incredibly long distance without worry. Wireless service is also a digital service. Digital frequencies from cell phones are carried by cellular network towers. These towers make up the MTSO, or Mobile Telephone Switching Office, which is the cellular equivalent of the PSTN. There are lots of wireless service providers, some of which are subgroups of larger telephone companies, like Verizon Wireless. But there are also companies that only provide wireless service, like Sprint or T-Mobile. Because the internal structure of the mobile network is similar to the PSTN, wireless service can cost almost as much as POTS landline service, so customers are not necessarily choosing wireless over landline because of a difference in cost. Rather, customers are choosing to eliminate landline service because they have discovered that their wireless phones can essentially serve as both a mobile and a home phone. This means that they can simply eliminate the cost of an extra line by canceling their landline service. According to some studies, 1 in 4 American households use only wireless service today. Of course, completely cutting the cord is not for everyone. Many people feel more comfortable using a traditional landline. Most of the people who are choosing to eliminate landline service are young and have been mostly dependent on their mobile phones for a long time. Check out some of our other articles to see if cutting out landline service is right for you. In 1996, the Telecommunications Act was passed in the United States. This act was meant to ensure fair competition among telecommunications companies. It stated that local calling companies could not deliver any long distance calls unless they made their local networks open to their competitors. This ensured that prices stayed fair and even among phone companies. This policy changes was really meant to protect the customer. This means that you have a right to choose a telephone company that offers you competitively low rates and good service. When you choose a bundled service, you can choose just a few services or all of the services. At the end of the month, you get a single bill for all of the services. Bundling is supposed to cost less than buying each of these services individually. Verizon’s Triple Play, its most basic bundling package, starts at $65/month for 24 months. From the corporate perspective, bundling is a good way to encourage customers to continue to buy landline service. But you should be cautious with bundling. Telephone companies tend to charge very low rates for bundles for the first few months, but at the end of the initial pay period, the bill may rise dramatically. Should you stick with a traditional telephone provider? Are you more comfortable with a regular telephone than with a computer or mobile phone? Do you worry that you won’t be able to get used a different kind of service provider? Are you satisfied with the amount you currently pay for telephone service? Have you considered the requirements and issues associated with VoIP? Are you familiar with the limitations and advantages of mobile phones?